This little gem of a guide covers some of the history of white settler explorations into the area between Guildford & York from 1830 to 1870. This simple book brings to life an area so many of us enjoy on a day ride or car trip with family out to one of our loveliest towns, WA’s first inland town York, settled in 1831. 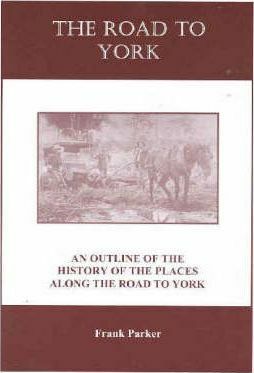 Set out to follow the line of the original road to York, each chapter details an interesting spot of the way. How many of you have noticed the pile of rubbled rock at The Lakes service station? Did you know this was an old coaching inn built in 1855? Did you know the current road wasn’t the first alignment of the route to York? The road originally passed south of The Lakes. You can actually walk to WA’s oldest road markers on the old road, set-out by Clancy during his 1846 survey. What about an old well tucked below the Bilgoman Aquatic Centre on your way up the Great Eastern Highway, or a section of old convict-built road not far from York? There’s plenty of stops to break up the usual 1-hour zip to York. Many sites in the guide are part of the Guildford to York Heritage Trail, with signs & information boards marking several stops. The trail is part of a 1988 Australian Bicentennial project to set up a statewide network of heritage trails.